I’m all for things that surprise and delight, and that’s just what British artist Killy Kilford is up to since moving to NYC this past year. 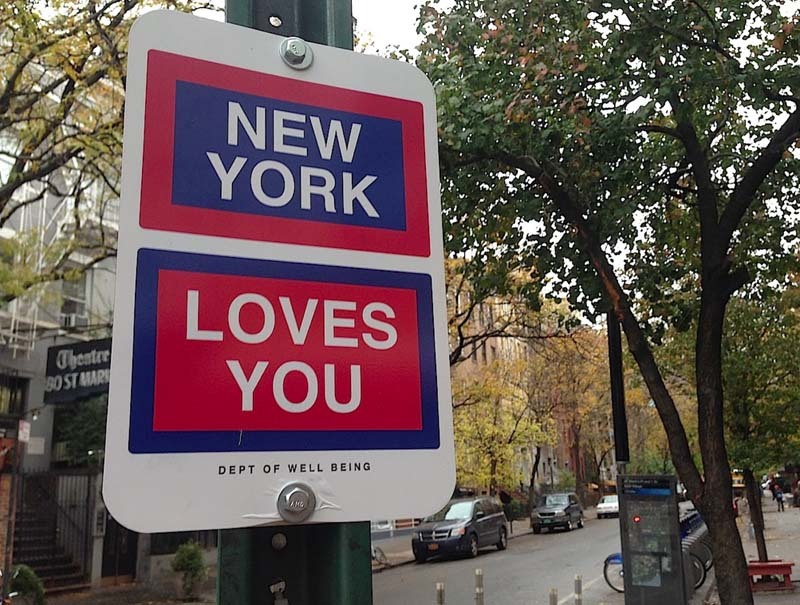 Feeling negativity from some of the city’s street signs, Kilford set out to create Happy Signs with upbeat messages and, with the help of volunteers, placed them under the official signs. “Honk Less, Love More” or “You Look Pretty Today” are just two examples of the many slogans aimed at getting a smile from his street audience. Kilford proposes that the city open a Dept of Well Being in addition to their standard agencies. 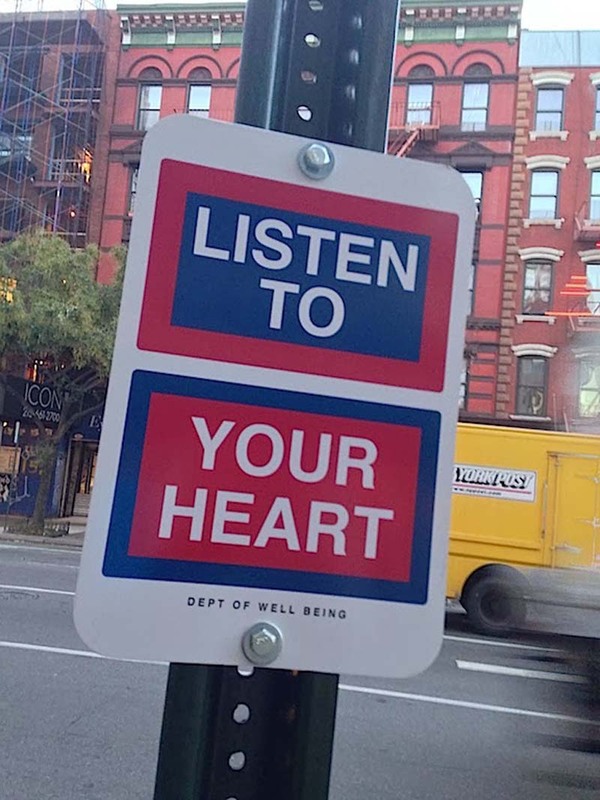 He plans to use his project—currently 200 signs have been installed mostly around lower Manhattan and Williamsburg—to measure happiness using surveys and social media, with the ultimate goal of acting as a model for other cities to adopt a similar concept and their own department of well-being. 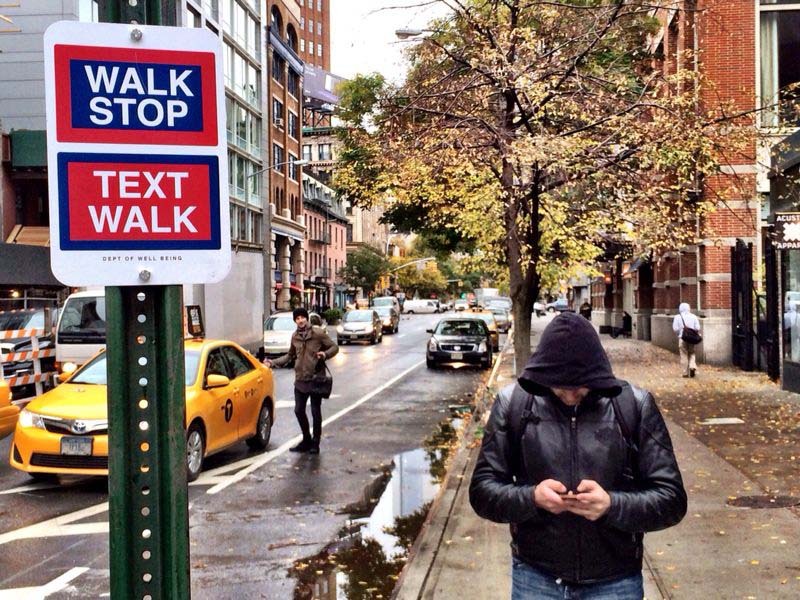 If you’re in New York City, keep your eyes peeled for the smile-inducing signage. This entry was posted in Art, Event, Fun, Graphic Design, NYC, Pop Culture, Street Art, Stuff We Like. Bookmark the permalink. Your posts always put a smile in my face. Sooooo creative…. Saxon – I don’t know what the authorities think. I think they just went up 2 days ago and pretty quietly, so maybe they haven’t noticed yet. Oops! So sorry about that. Fixed!